With both volumes of the reprinted Rockman Megamix out the door, Hitoshi Ariga is hard at work putting the finishing touches on the 2015 edition of Rockman Gigamix. For your consideration, here's the work-in-progress cover art depicting various scenes from the first few chapters. In addition to new cover art, the first volume houses visual touch-ups and new commentary from Ariga. It goes on sale in Japan in April. MegaMix and GigaMix are both great. Really hope one day there can be an adaptation for the rest of the Classic series. 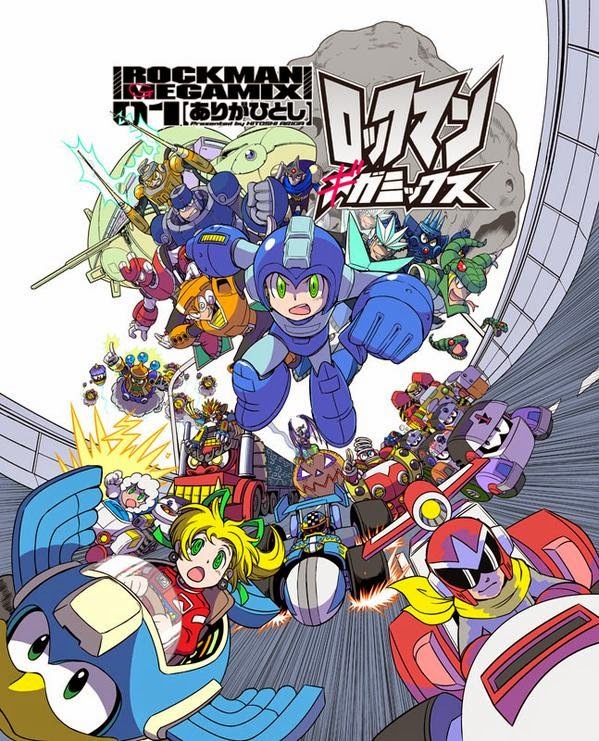 Are there any other Megaman-Storys from Ariga that were not translatet into english? There's a few minor things in Maniax that never got translated, more of the mini series of Auto building weird robot masters, Wily talking about robot animals and Duo being overly zealous about stuff. Besides that and the promo he did for Rockman 9's AST no.